Under the patronage of Her Excellency the Vice Dean of Al-Leith University College, Al-Leith University College organized, on Tuesday, 30 Jumada Al-Awwal, 1440 A.H., the first stage of the University Role Model Competition in its third edition. It was presented by Dr. Rasha Majlad, the coordinator of Al-Leith University College. The meeting aimed at holding a competition between the female candidates before the Judging Committee. The female student Reem Khalaf Al-Umari was chosen as the role model of the college. 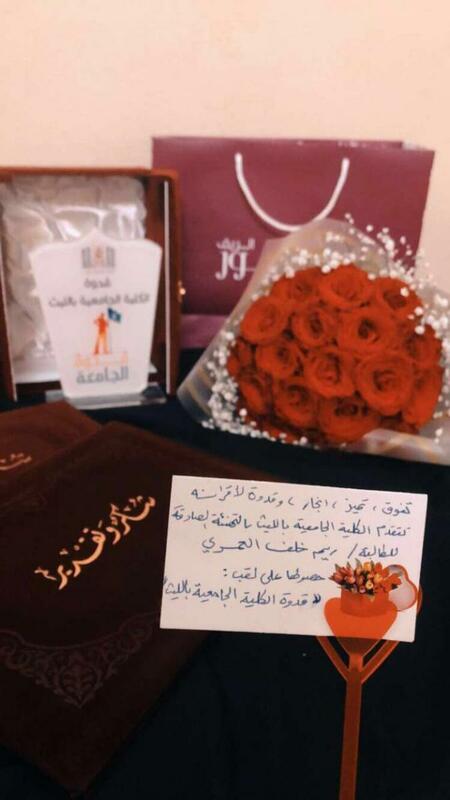 We congratulate our student Reem on gaining the title of the role model of the college, and her qualification for the University Role Model Competition. We wish her more success and distinction. 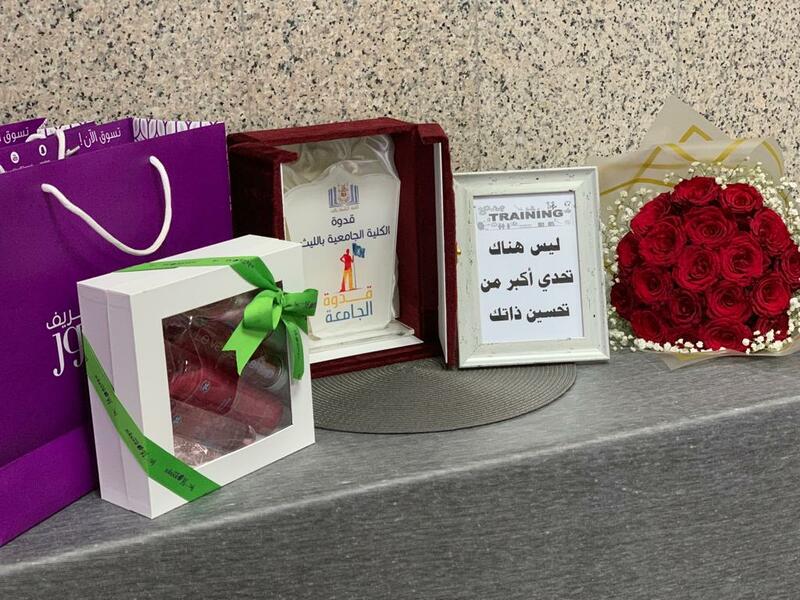 The meeting was concluded by honoring the student Reem Khalaf, the "Role Model of the College".